Traditional styling today is a timeless blend of familiar details combined with unexpected elements. Just like this Iron Trestle Table has with its curved metal base paired with a V-match planked top in our worn and rugged Shop Floor finish. 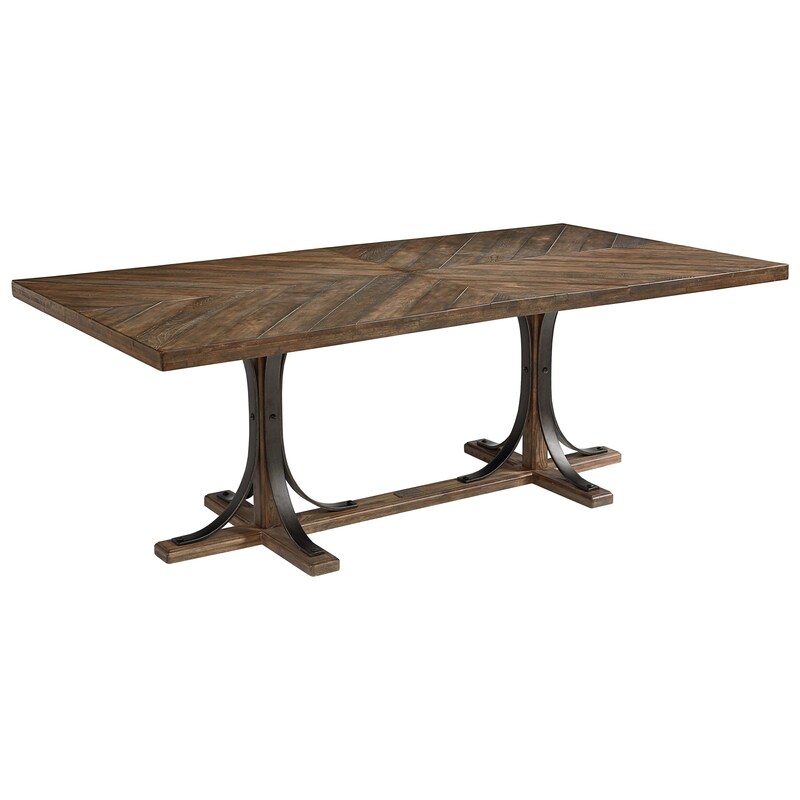 The Traditional Dining Table with Iron Base by Magnolia Home by Joanna Gaines at Darvin Furniture in the Orland Park, Chicago, IL area. Product availability may vary. Contact us for the most current availability on this product. Browse other items in the Traditional collection from Darvin Furniture in the Orland Park, Chicago, IL area.